The TCU Percussion Studio is dedicated to maximizing percussion education through a wide variety of performing ensembles and a closely supervised private lesson structure. The size of the studio enables all students to receive a variety of performance opportunities and individual attention. In addition, the School of Music offers the Artist Diploma program for exceptional percussionists who seek a conservatory approach rather than the traditional course of study leading to an academic degree with a performance major. It’s available to both pre-baccalaureate and post-baccalaureate students. Learn about our percussion ensembles. Connect with the TCU Percussion program on Facebook and YouTube. Today, the highly selective Texas Christian University Percussion Studio offers a distinctive combination of private instruction and a variety of performing ensembles, including the internationally recognized Percussion Orchestra and Percussion Ensemble. You also can explore the excitement of the Steel Band or the precision of the Marching Band and Indoor Drumlines. 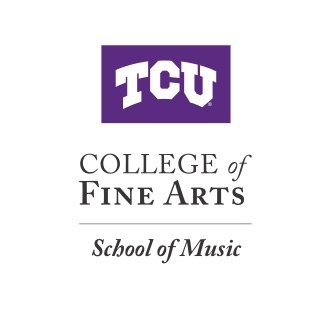 The commitment to excellence in the TCU School of Music Percussion Division can be seen in the success of its Percussion Orchestra and Percussion Ensemble, which was chosen by blind audition to perform showcase concerts in 2005, 2008, 2011 and 2015 at the Percussive Arts Society International Convention (PASIC). Many newly commissioned works were premiered at these concerts, and in 2011 the group made its New York City debut, performing at the Kaufman Center’s Merkin Hall. Percussionists leave TCU with a broad knowledge of many aspects of music and specifically the percussion family. Many of our graduates enter the workforce specializing in education. These graduates have distinguished themselves as some of the finest educators in their fields, teaching percussion at the high school, middle school or elementary levels. Additionally, TCU percussion alumni often continue their studies in graduate programs and some ultimately have ended up teaching percussion at the collegiate level. Some of our graduates are performing music full time for a living, while others perform on a part-time basis. We also have many former students who compose regularly including quite a few published composers.